Are you conscious about the environment but want to know more ways you can help the earth? 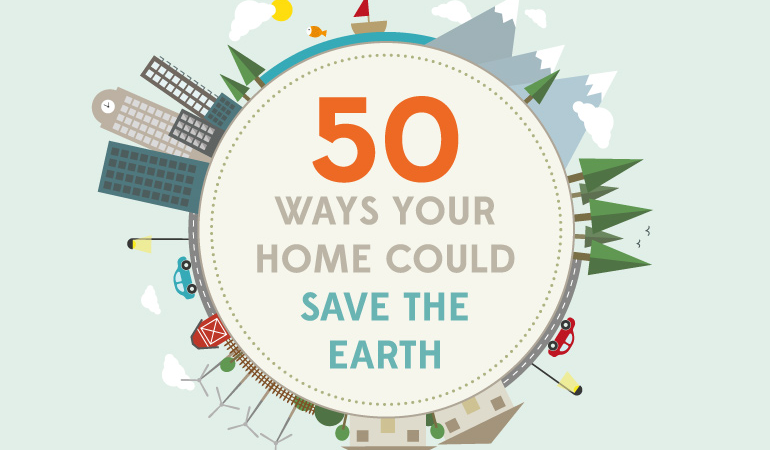 There are a tonne of things- 50, actually- you can do in your home to reduce the negative impact you have on the world around you. They aren’t difficult or expensive to do, and they all make a difference. If you want to use the infographic on your blog or site, there’s an embed code and information about the 50 ways press release at the bottom of this page. We’re aware that there are also many other ways you can help the environment from your home, so if you have anything extra, let us know in the comments! Complete with survey results of British homeowners, relating to the infographic. The survey shows how people relate to energy-saving techniques, and which of these 50 things people already do. This information is split into age, gender, region and financial status, so you may find something relevant to you. let us know if you have something to say or ask about these points. If you’ve tried or struggled with any of them, we’d love hear which they are, or even see if you have any pictures!